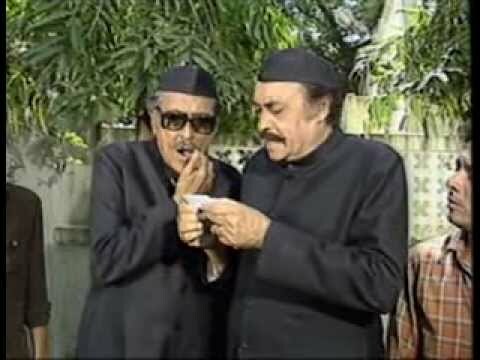 Bhim Bhawani is one of the legendary shows during early 90s. The comedy oriented detective series Bhim Bhavani was featured ace actors from Hindi film industries, Ashok Kumar and Anoop Kumar. During 90s Doordarshan had come up with some of the most attractive and fabulous shows of all time. Most of the shows were based on family or social drama. On the other the comedy based shows were also there to lighten up the heavy loaded family drama at that point of time. Bhim Bhawani was one such light hearted show that had no drama no heavy loaded emotions. The show was about two detectives who used to solve several problems. The detective duo in Reel life and siblings in real life Ashok and Anoop kumar played the lead role on the show. The show, as said, was a detective story but with a lot of humorous sequences. It used to come on TV in the evening slot for half an hour. Each episode used to have one case that was solved by the detective duo. The first episode started with the duo walking casually on the streets when they found a packet. The story started from there when they felt there was something fishy about the thing they have found on the road. They followed the address mentioned in the papers to return them to the owner. Once they reached the house the hullabaloo started. The owner and his family misunderstood the duo as someone else. They thought Bhim is an electrician and Bhawani is a plumber. The episode was full of funny incidents and humorous scenes where the detective duo had to perform all the relevant tasks that they didn’t have any idea of. Followed by other episodes, the first episode was a huge hit and loved by the audience. It was a finite show and legendary Ashok Kumar’s one of the best performances. Ashok Kumar, popularly known as Dadamoni of Indian Cinema, was said to be the first superstar of the Indian Film Industry. Born in a Bengali family Ashok Kumar’s real name was Kumudlal Ganguly. He was not only the legendary actor in Indian film industry; he had also contributed his immense talent in theatre, television and other acting fields. He has started his film career in the mid of 30s when he shifted to then Bombay. His first movie as a lead was released within a year of his shifting to Mumbai. Jeevan Naiya, his first Hindi movie was out during mid 30s when the actor was working as laboratory assistant. After that he didn’t have to look back in his life, because his acting was hugely appreciated by the entire film fraternity. During 40s and 50s he made a remarkable career. He had become the first superstar of Indian Cinema by winning several renowned awards during that time. During 80s and 90s in his last stage of career he did television and some commercial movies where he had played fathers and grandfather’s characters. Anoop Kumar, the younger brother of Ashok Kumar was the second lead in the show Bhim Bhawani. The character of Bhawani was played by him on the show. Anoop Kumar was born in Bengali family with name Kalyan Kumar Ganguly. The actor did a number of films before heading towards television industry. The elder brother of leading singer, actor and music director Kishor Kumar, Anoop Kumar did a fantastic job in Chalti ka naam gaadi where three brothers acted together. Anoop kumar started his film career during 50s. But like his other brothers, he wasn’t popular in film industry. Though the man did a number of films but only few of them had made history and Chalti Ka Naam Gaadi is one of them. At the age of 71 Anoop Kumar had passed away leaving few films and awesome shows behind.